Home / Blog / What Is Stone Veneer Siding? Beautiful Colorado homes often have beautiful stone embellishing their exteriors. That rugged Colorado elegance is a look that is sweeping the nation, and much of it has to do with the hearty stone that decks the exterior of Colorado residences. Stone provides homes with a natural look while also being extremely luxurious — a combination many homeowners desire. If you are considering an exterior remodel but aren’t sure if you want to dive head first into covering your home with natural stone, don’t worry! You can get the same look with stone veneer. What is Stone Veneer, and How Is It Made? Stone veneer is the counterpart to natural stone. It is often known as faux or manufactured stone. It is designed to mimic the look of real stone for a fraction of the cost. Real stone used to be an immensely expensive item that few could afford on their homes, but all of that has changed, and so have stone veneer options. Natural stone is now made from cut stone. Manufacturers can cut real stone into small slivers of the same thickness, making it lighter and more manageable. The natural stone can be quarried or come from fieldstone. Manufactured stone veneer is made with a lightweight concrete. It is cast in rubber molds that are created using real stone. This gives it the same texture and divots as true stone, and with the coloring process creating a variety of shades in each casing, the result is a product that looks almost identical to its true stone counterpart. This gets made into interlocking panels for easier transport and installation. With veneer, you can mimic the look of stone on your home without the downsides affecting true stone siding. 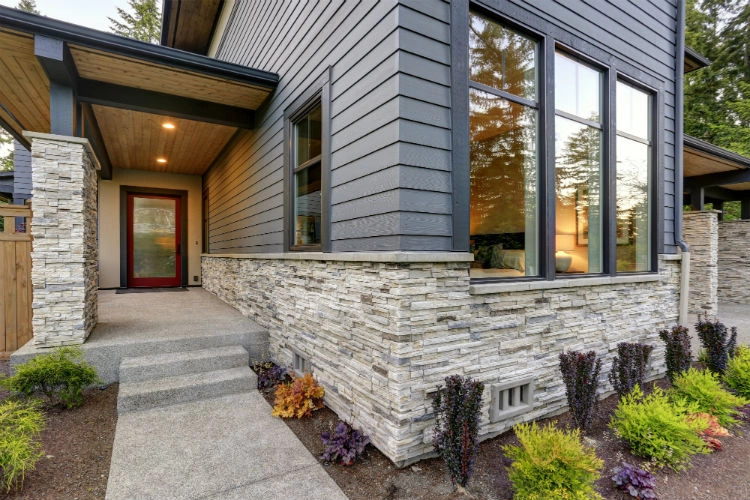 If you are looking for the perfect siding option for an exterior remodel, here are some of the benefits of choosing stone veneer. Real stone is heavy and takes a great deal of time to lay piece by piece. It often takes the skilled hands of a mason to get the look of stone just right. On the contrary, stone veneer’s installation process is simple and easy. Veneer is a lightweight material, making it easy to handle and simple to screw into place. It comes in precut, prearranged sections that fit seamlessly together. Natural stone is one of the most expensive forms of siding. It is durable and beautiful. Nearly no other form of siding can match the beauty and elegance of true stone — except for stone veneer. By installing stone veneer, your home can have the immaculate look of stone, and it can cost you only half as much as natural stone. 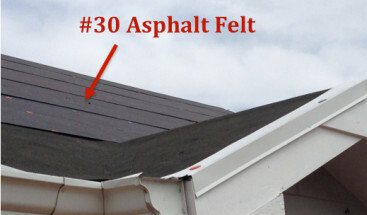 Not only is the product cheaper than its counterpart, but the installation is more affordable as well, due to the simplified process and prefabricated sections. Stone veneer comes in a variety of shapes, sizes, and designs. Because it is manufactured, the choices are endless. Colors can be tailored to your specific preference. While natural stone is beautiful, you get what you get when it comes to color and veining. But the variety and options that can be designed for your exterior make veneer a great choice for an exterior remodel. Manufactured stone veneer has less maintenance attached to it than true stone. Most forms of natural stone are porous and, therefore, likely to absorb liquids or stains. This means your stone needs special cleaning agents or sealants. It is also imperative to clear natural stone of dust and debris before sealing it. However, the makeup of veneer is easy to clean with most any product on hand and is not porous. It simply needs to be sprayed down a few times a year or washed with a mild soap and rag. However, every form of siding will require some maintenance and cleaning. 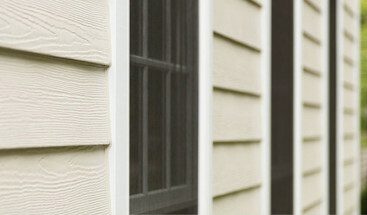 Here are three causes of dirty siding and what you can do about them. As surprising as it may be, manufactured stone veneer is actually more durable than natural stone. Due to the porosity and variations that stone can have, it can easily chip or break, but stone veneer is less likely to experience these issues. Because of its dense makeup, it can withstand severe impacts and contains fewer surface weak points. Natural stone’s porous nature, which makes it more difficult to maintain, can also causes weaknesses in the stone itself. As the stone absorbs liquids and those liquids expand and contract by freezing and thawing, it can cause cracks or weaken the natural stone. The use of natural stone can often be surrounded by controversy. Natural stone is a limited resource, and to attain the look, stone is quarried from the earth to be placed on a home. As homes change owners, styles often change, and stone can be torn down and replaced. Veneer eliminates this issue. The quarry process can also cause chemicals or toxins to drain into underground water. The cement making process of veneer reduces these issues. Stone veneer can be used to cover your home’s entire exterior or can be used in accent points to give dimensions to the look of your home. It is also a great interior option for accent walls and fireplaces. Either way, stone veneer is a great choice for all stone needs in any Colorado home. It’s time to bring the beauty of Colorado to the exterior of your home. 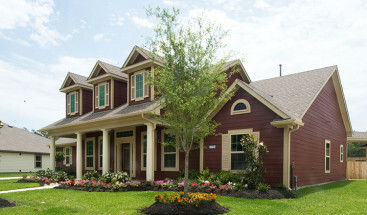 With the right siding contractor performing your exterior remodel, your home will look scenic and will last for years to come. Veneer siding can give you a head-ache free stone, and our Refined Exterior’s team will give you a headache-free installation. Schedule a free, no-obligation consultation by calling us at (702) 306-1611 to find out how we can help transform your home’s exterior.